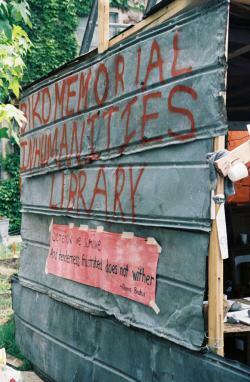 Photograph of a shantytown at Cornell University that was built as part of a campaign to get Cornell to divest from companies doing business in South Africa. 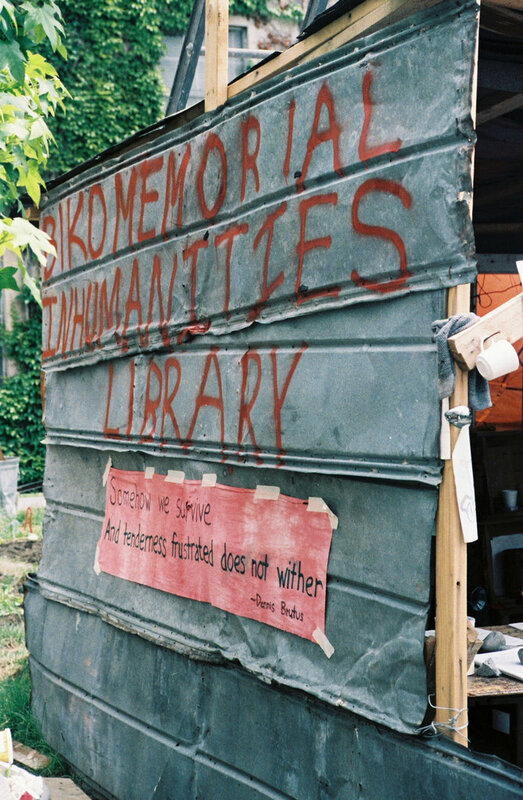 The photograph shows the Biko Memorial Inhumanities Library which was a resource and information center in Shantytown. The shantytown was apparently built by the South Africa Divestment Coalition. Photo courtesy of David Lyons.